As tech editors, we often play a role in making products popular and mainstream even though they aren’t really secure. While most of the news space is given to shiny new features, only rarely do we talk about security loopholes and privacy disasters. Much of this scrutiny and doubt is then diverted towards products that aren’t designed inside the Silicon Valley. Many users automatically tend to believe that anything out of China is insecure and the products are designed to steal our data. While a legit concern, the same worry isn’t shared as much when it comes to homegrown products. For example, many assume that everything Apple has got to be secure, partly due to the company’s vocal marketing strategy and a little due to its users being loyal fans. As the Black Friday and Cyber Monday deals galore is about to hit us all, tens of millions of us will make purchases potentially buying Internet-connected devices that are nothing but creepy. Here’s how to make sure the products you are buying meet at least the minimum security checks. As I have shared in a previous piece, it’s difficult to resist these pretty looking, helpful little gadgets. While the trade-off is almost understood by the buyer that you have to share at least some of your data, how do we weigh the risks? Everyone has a different level of concern about privacy and security. But if you know one of your friends doesn’t believe in “if I don’t have anything to hide, why should I worry about sharing data anyway,” should you be giving them a gift that will just make them more concerned about their privacy? Now, this wouldn’t be true for everyone. For some, they would want to make use of all the features that an IoT product has to offer; for a different person, they wouldn’t want to risk sharing even this amount of information. Mozilla has worked on a small list of products to help you see if they are really really creepy. “We realize people want to just know which products are safer than others,” the company wrote (emphasis is ours). The company clarified that it’s not saying whether to buy a certain product or not, it’s just trying to share which products meet the minimum security requirements (more details are available here). We are Mozilla – not a consumer product review company – so we won’t say “Buy this, don’t buy that. Instead, we used our technical expertise to create a set of minimum security standards we think all products should meet in order to be sold in stores. 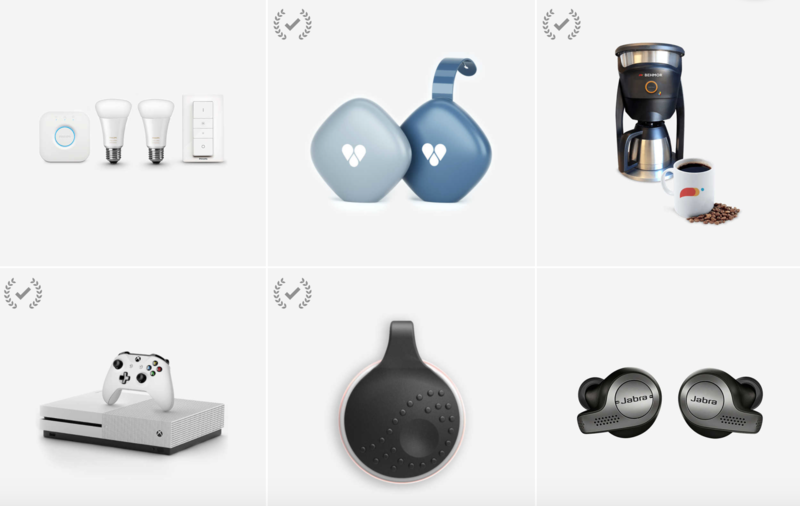 The list includes a myriad of products, including smart speakers that are becoming ubiquitous, coffee makers, smartwatches, teddy bears (yep! ), drones, tablets, baby monitors, and more. Here are the products that received a yes or a no from Mozilla’s tech experts. You can find the complete list over here. Click on any product to find the details of this basic security checkup; once inside the product page, you can also see the “creepiness” level of a product, but since that’s based on user input, we would advise not to trust that particular metric and go with Mozilla’s own results.